Upper Sandusky/OH, September 11, 2018 – The First Citizens National Bank, a local Upper Sandusky icon, was just named among the top extraordinary banks in the United States by The Institute for Extraordinary Banking™. First Citizens was recognized with the Institute’s Banky™ Award for its commitment to strong community banking. This recognition is given to top community banks across the country to help people find the best banks in their communities. “I am very proud of our employees and the way we have served our communities over the past 158 years. Several years ago as part of our 150th celebration, we kept track of the good deeds performed by our employees in the communities we serve. By the end of the year, our employees had exceeded our goal of 150 projects and performed well over 200 good deeds on their own time using their own resources. Our employees are the best! 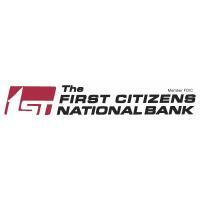 It has been fun and exciting for our team to be a part of a bank that has been in operation since 1860 and is the 4th oldest locally owned nationally chartered bank in the United States.” said First Citizens President and CEO Mark Johnson.